Unlock the door to reading success with these 26 easy-to-assemble hands-on learning wheels—one for each letter of the alphabet! With just a turn of each adorable wheel, young learners build letter recognition and phonics skills—independently. Pictures and word labels on each wheel help build vocabulary too. Includes a CD with ready-to-print color wheels for every child. 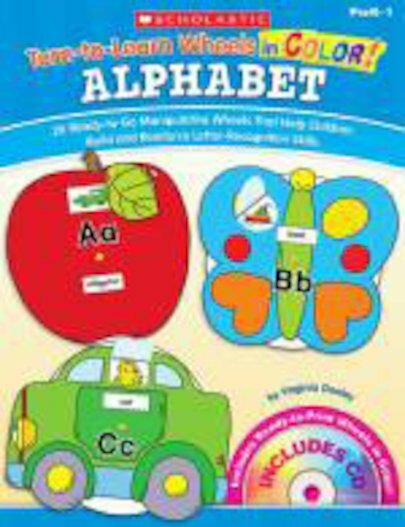 A must-have teaching tool for all PreK-1 classrooms! For use with Grades PreK–1.